In this edition, we’ll be digging a little more into Nxt, as well as some of the assets that James gave to SuperNET. These assets were previously mentioned (in SuperNET Newsletter #3), though not explained in detail. There are also some new announcements and developments, as always. NeoDICE is ready for public beta testing within a few days! NeoDICE was the first asset dividend to be paid to SuperNET holders. NeoDICE is a fair betting game that runs on the NXT blockchain. It is based on the immensely popular satoshiDice, though with a few differences – the most important one being that neoDICE processes unconfirmed transactions, making gameplay near instantaneous. NeoDICE does not require any additional registration or authentication than a NXT account number. To determine winning or losing bets, it calculates the SHA-3 hash of a combination of the transaction ID and a daily secret (a number unknown to the player). The previous day’s secret as well as the hash of the current day’s secret are published, providing for an easy way to verify the outcomes of wagers: everything is visible in the blockchain. NeoDICE is based upon know-how from NXT’s Come-from-Beyond, but is being actively coded by several developers represented by hash. Come-from-Beyond and jl777 are project consultants. 100% of neoDICE revenues will be distributed to assetholders. This indirectly includes SuperNET, so UNITY holders will receive dividends from neoDICE. It will initially be playable as a NXT client plugin, and will later be included in the SuperNET GUI. Finally, it will also be released on a standalone neoDICE website, allowing gameplay without a NXT client. ETA is December 2014. NeoDICE is traded on Nxt AE (asset ID 18184274154437352348) if you want to load up before launch. The Multigateway (asset ID 10524562908394749924), NXT’s distributed exchange, has previously been running on James’ servers. This is about to come to an end with the move to production servers. The Multigateway will provide a key part of SuperNET’s functionality, since – in conjunction with InstantDEX – it will deal with all the automatic exchanges from one currency to another. NXT Freemarket (asset ID 134138275353332190) is a decentralised online marketplace that enables free, global, private trade of any goods and services, with low fees and no interference. FreeMarket lives on the NXT blockchain, so there is no single point of failure. It is resistant to attack by anyone who would deny you your right to trade peacefully. FreeMarket automatically encrypts messages between buyer and seller, keeping your information private. No IP addresses are logged anywhere. Payments via NXT are built right in. No need to leave the app to send a payment, no need for PayPal or another third-party payment processor who has your private data. NXT freemarket has been in BETA since mid September, so it has been in the wild and tested. The developers have announced that they have an update scheduled on 9th of November. After this release, the promoting of FreeMarket starts. 20% of FreeMarket listing fees (7.77 NXT per listed item from 2015) will go to SuperNET. All agreements between SuperNET and coinevolve are hereby terminated due to abandonment by Chris Sommers. Even though there was never a direct partnership between SuperNET and the abandoned CoinEvolve project, unlucky buyers of EVOLVE and EVOLVE2 can claim free NXTweb assets. An arrangement has been made with Christian Sommers, who has now transferred the source code for his websites to POPPP from the French Nxt Community. POPPP is overseeing the modification of the code and ensuring that the sites are set up. I suggest that people that want to prosecute him do so in the fiat world. POPPP has stepped forward to do the work required to create sites in the same general area as the coinevolve sites. I will do a SuperNET deal with POPPP for his asset and donate my evolve assets I ended up with to POPPP so he will have a meaningful ownership of the new asset. The first NXTweb site is already live. It is a crowdfunding website: www.nxt-starter.com. Payments are initially accepted in NXT and BTC through coinpayments.com, but the site will be heavily developed over the next two months to take coinpayments out of the loop and accept more currencies. Two more websites will be built from Chris’ source code: a freelancer website and a microjob website. More sites are planned for NXTweb in the future. James is acting as an adviser only and will not build any tech for NXTweb. SuperNET will receive 25 percent of NXTweb’s NET profit. For more background on the situation with CoinEvolve: SuperNET Newsletter #1. James donated a number of assets to SuperNET. These will form parts of the core services, value and functions of SuperNET. You can read more about all of them on the NXTventures board of the NXT forum. Many of these assets are interlinked and own proportions of each other. InstantDEX (asset ID 15344649963748848799) will soon offer near-realtime trading of NXT, Nxt assets and other crypto – a huge advantage for trading and for regular transactions over typical blockchain confirmation times, whether that is Nxt’s 1-2 minutes or Bitcoin’s 10 minutes. The tech is almost complete and will be integrated into SuperNET so that users can enjoy fast, automated conversions between one crypto and another. InstantDEX fees will flow through these and be dividended out to SuperNET investors. NXTprivacy (asset ID 17911762572811467637) contains all of James’ privacy-related projects, currently 50% of Privatebet, 30% of the Anon ATM card (cryptocard) supplied by Coinomat, and also 0.1% of Teleport fees will flow through NXTprivacy into SuperNET. NXTprivacy dividends will flow through these and be dividended out to SuperNET investors. Privatebet (asset ID 17083334802666450484) enables fully decentralised, peer-to-peer betting, with publicly verifiable results. This paves the way for sports betting and casino applications, all of which will pay dividends to Privatebet (and SuperNET holders through NXTprivacy). The ‘house edge’ for neoDICE will be around 1 percent, and this is likely to be standard. Cryptocard (asset ID 7110939398145553585) will be a way to bridge crypto into fiat. These SuperNET cards are normal MasterCards and will have a $1,000 per day limit. The cards have been ordered. At the moment these are ‘half anon’ cards: A photo ID card is required for – but no banking information. There is being worked towards finding a full anon solution. 1% of the processed transaction volumes will be transferred to the assetholders. More information about the half-anon approach can be found in SuperNET Newsletter #5. Tradebots/nxtcoinsco (asset ID 17571711292785902558) is an asset that will allow people to create their own custom tradebots. NxtCoinsco dividends will flow through these and be dividended out to SuperNET investors. NXTventure (asset ID 16212446818542881180) is an incubation fund that invests in and spins off other promising crypto assets. NXTventure pays dividends in the form of these assets, thereby giving investors a piece of the next big crypto asset. James has recently announced that NXTventure and SuperNET will be releasing combined dividends. The NxtInspect dividend was an example of assets distributed to SuperNET holders through NXTventure. Four more dividends have been pre-announced. Read more in SuperNET Newsletter #2. There will not be a full overlap between the dividends offered by NXTventure and SuperNET. As you will know, a small number of coins make up the SuperNET core. If BTCD is the highway that connects all the stores, entertainment centres, financial services and other features in SuperNET, then NXT is the 2.0 engine that allows users to access them all. Rather than simply being a cryptocurrency, NXT can be considered a complete financial platform. The Nxt Asset Exchange, which is built into the client, allows users to issue, buy and sell shares in virtual or real-world companies, and receive dividends (NXT, other assets or even other currencies through Multigateway tokens for BTC and other coins). It’s the ‘coloured coins’ concept you may have heard about, but being dealt with in a very intuitive and user-friendly way. 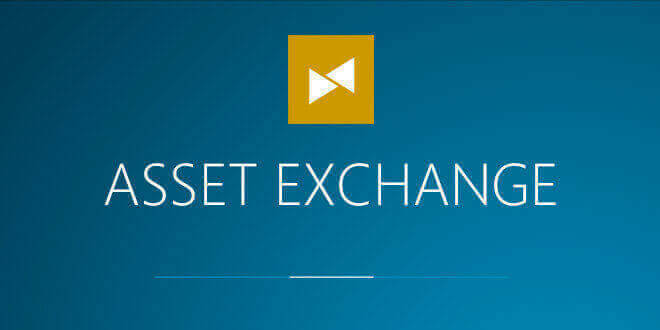 To read more about the launch of the Asset Exchange and see a few use cases, see the NXT AE Special newsletter. Nxt’s arbitrary messaging system (AM) is also used – and for more than just simple messaging (plain text or encrypted). For example, instructions are passed to the Multigateway using AMs. The Nxt Alias system allows accounts, websites, telephone numbers and more to be linked to a simple reference label; Hyperboria’s Meshnet project already makes use of this feature. The Nxt Marketplace (formerly known as Digital Goods Store or DGS) is a decentralized NXT store that allows users to trade digital products directly through the NXT Client; whereas NXT Freemarket is the third-party application that reaches into the physical world, like a decentralised eBay. The Monetary System (MS) is scheduled for release later this month, and will allow the easy creation of customized digital currencies on top of the Nxt blockchain and backed by NXT. These and other third-party services like neoDICE offer a wide range of functionality and open many possibilities for SuperNET. For a more comprehensive overview of Nxt, take a look at the NXT Technology Tree. James is coding hard, and the features of SuperNET’s GUI are taking shape. There is still plenty to do, but basic SuperNET functionality is now almost complete. SuperNET development is on track, with initial release still scheduled for the end of the year. Of course, this is still command line and it isn’t using the best practices as the maketelepods creates traceable telepods, but it is quite a lot of what needs to be working. Finally, a draft white paper for Telepathy is available. Telepathy is the secure communication system that underpins BTCD and the SuperNET. It works similar to BitTorrent’s peer-to-peer network, with a few critical differences. ‘Dead drop’ addresses are used – locations in network space that are not owned by any peer. Since many peers handle a packet on its way to the dead drop, it becomes almost impossible to tell who it was originally meant for. The white paper can be found at https://copy.com/x4mYj7Cy9tNtwwXg. Please do read and comment. All feedback is welcome. James is working hard on the code, and many other people have joined the Slack channels where a huge amount of discussion, feedback, marketing and development are happening. We have approaching 100 people on Slack, and over 10,000 messages weekly. However, the more people get involved the better – there are always gaps, and more eyes and pairs of hands will make things move faster. Just ask for an invite if you want to help. James writes, ‘I keep coding away and making progress, but there is only so much I can do and it will take the help of the community to fully actualize SuperNET. In fact, once my low level work is done, then I really become much less important and that is my goal. Welcome to the second SuperNET Newsletter! A week is a long time in cryptocurrency, and never has this been more true than for SuperNET. This last week has seen a flurry of activity, with a series of new companies and services being added to the project. Additionally, there have already been unexpected dividends, with several more now expected in the coming month. As a result, SuperNET is slowly but steadily gaining in price and looking forwards to a very bright future. SuperNET / UNITY can be traded on BTer, NXT Asset Exchange and now on Poloniex. BTer has automatically exchanged all TOKEN for UNITY (the ticker symbol for SuperNET). No further action is required by assetholders. Also withdrawal of UNITY has now been enabled. On the NXT Asset Exchange (AE), a manual process was created. Most TOKEN has now been exchanged for SuperNET, but if you have not done so already, you should redeem your TOKEN. TOKEN does not pay dividends and was only created to simplify the issue process for SuperNET. To redeem your TOKEN on Nxt AE, transfer it to NXT-7Y5B-J8LQ-SL5P-3ULFL. It will be exchanged for SuperNET. This is a manual process and will not take place instantly but within 24 hours, so please be patient. In an unexpected but welcome development, SuperNET has started paying dividends in the form of assets in new companies with which it has formed partnerships and acquired a stake. The first dividend was neoDICE – a re-creation of the legendary blockchain betting game SatoshiDice, a Bitcoin-based game which achieved immense popularity but fell from favour when it began requiring confirmed rather than unconfirmed transactions, thereby delaying gameplay. Like SatoshiDice, neoDICE uses a provably fair blockchain-based system but includes a solution to avoid the delays caused by requiring confirmations. It is hoped that this game will capture a significant proportion of SatoshiDice’s former market – but for NXT. For every hundred superNET, assetholders received 6.127 neoDICE. NeoDICE traded as high as 62 NXT each before settling down to 40 NXT bid/50 NXT ask, so the dividend was worth 2.5 NXT to 3 NXT, which on ~200 NXT [SuperNET] price makes it a 1% to 1.5% dividend. The second “surprise-dividend” was NXTinspect. I invest in good people, and they are all good people. When I see good trades, I just automatically click, click, done. So I didn’t even think about the potential for looking like conflict of interest. However, it seems there could be an appearance of conflict since I am involved in dozens of different projects. I want to use NXTinspect services and clearly it won’t have much value if there is this appearance that I am having some sort of undue influence over them. As soon as the AE assets were sold, the dividends were processed. Sales on the AE would offset any losses to James from the dividends issued, so the process was broadly break even for him. After this, James holds no NXTinspect, other than the indirect gain of jl777hodl NAV and whatever goodwill SuperNET and NXTventure assets gain from this dividend. For more information, see here. Dividend payout details can be found here. The dividends were successfully distributed. Those with assets on BTer and Poloniex have received their dividends in their exchange accounts, and AE dividends have been issued directly to holders’ Nxt addresses. As previously announced, investors who hold unredeemed TOKEN did not receive the dividend. The leftover neoDICE assets were given to valarmg, in return for the work he has done in creating and running the redemption and dividending scripts. These unclaimed neoDICE assets equalled around 1,500 or 3 percent of total dividend payout. BOOST (asset ID 9719950459730291994) is a startup incubator that provides zero-interest loans for new NXT companies and will have close links with NXTventure, both in funding and adopting new companies. It will act as a conduit for small companies that want to become a qualified NXTventure listing. These are all exciting new developments and highlight the activity that is going on. These four dividends could be issued in October – though as ever, there are no guarantees of timescales and dividends will be announced as they happen. Investors are encouraged to do their own due diligence before purchasing further assets. NXTventure and SuperNET will be releasing combined dividends. NXTventure has proved a highly popular asset. Its purpose is to fund promising new enterprises in return for a proportion of their assets. These are dividended out to NXTventure shareholders. There will probably be 4x more assets in the pipeline. (….) I expect that NXTventure will have some smaller assets that will be dividended that won’t have a SuperNET counterpart. There will also be some special assets that would only be SuperNET dividends. ATOMIC (asset ID 11694807213441909013) is a new service designed to enable 100% decentralized trading for all coins and assets on a single blockchain. It will be integrated into the core of SuperNET. Transactions from one blockchain to another will be as fast, if not significantly faster than any existing centralized method of exchange. The ability to spend any coin, anywhere (ex: ATOMIC will allow users to spend NXT at a store which only accepts payments to a BTC wallet) without having to wait for a deposit, confirmations, exchange, withdrawal, more confirmations and then finally spend the coins. ATOMIC will take the form of a DAC (Decentralised Autonomous Corporation). It will be open source and run transparently, with direct community involvement. ‘Once a critical mass has been reached it will become a full DAC with no central points of failure, agenda, laws or anything else that could slow it down. Initial versions will probably not be a fully automated DAC’. You can find out more about ATOMIC in the announcement thread on bitcointalk. ATOMIC is listed on coinmarketcap.com. ATOMIC official website: http://atomicdac.org. The fees on the ATOMIC network will serve to reward both the miners and asset holders. The standard transaction fees required by blockchain technology will be rewarded directly to the miners. The asset holders will receive dividends in the form of the accumulation of non-Atom transaction fees. For example if user A with Bitcoin wants to send money to user B who only wants Litecoin, user A will pay a tiny fee in Bitcoin to a special address that will initiate the exchange. Due to the nature of the ATOMIC network, the exchange requires that the user also have enough Atoms in their wallet to cover the transaction fee to the miners. This process gives the power to set the price of Atoms to the nodes on the network while also rewarding asset holders directly with fees collected by the exchange process. Freemarket (asset ID 134138275353332190) is a decentralized physical goods store (similar to a decentralised eBay). 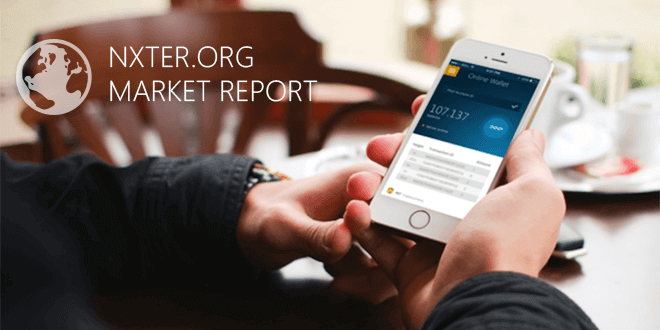 20% of FreeMarket listing fees (7.77 NXT) will go to SuperNET, counting from 2015. Freemarket will have no fees for the rest of 2014, other than the the 1 NXT listing fee and 1 NXT confirmation fee. Freemarket will be released on October 12. This is just the first version. Additional information can be found in the ANN thread. Freemarket is listed on BTer and on coinmarketcap.com. Official website: Nxtfreemarket.com. Teleport. The privacy technology that underpins BitcoinDark (BTCD). InstantDEX enables near real-time trading between cryptocurrencies. Tradebots (NXTcoinsco) enables the creation of custom decentralized tradebots. SuperNET card will support anonymous withdrawal of NXT and other SuperNET coins. This is due for launch by Coinomat in the coming weeks. NXTprivacy holds a series of privacy-related assets, including 50 percent of PrivateBet. PrivateBet will be designed to support P2P betting and casino games. PrivateBet owns 40 percent of neoDICE. neoDICE is similar to that of the legendary satoshiDice, with a few differences, the most important one been the near realtime processing of the wagers. Beta testing starts mid October. Sharkfund0 is a trading fund that aggressively targets high-performing assets. Targeted advertising similar to Google’s AdWords will allow website administrators to serve adverts directly to the cryptocurrency community, with revenue being returned to SuperNET participants. You can read additional information about the above services in the SuperNET ICO document. To keep track of the SuperNET assets holdings, a new account and asset has been created. SuperHODL: asset no. 13120737659249432970, account NXT-USU4-92UY-KEYT-4H649. This is simply an accounting convenience to segregate authorised but non-disbursed funds. SuperNET invested in mynxt.info, a long time NXT company with online wallet, mobile app, block explorer, etc. Over the coming months mynxt will be working on integrating their services into the SuperNET GUI. This is a very promising move for SuperNET, since a significant proportion of users prefers to use a web wallet than a downloadable client. The SuperTraders receive a maximum of 10 percent of SuperNET’s working capital, or around 570 BTC. Their capital will be awarded incrementally as they increase their own bankrolls through successful trading, thereby increasing confidence and limiting downside risk. Each time they increase their bankroll by 50 percent, SuperNET also increase their available funds by 50 percent. The aim is to allocate the largest bankroll to the SuperTrader with the largest and most consistent gains. We managed to get the domain supernet.org! The logo is created by ‘ether’. Feel free to join the community on forum.thesupernet.org. Here’s a summary of the SuperNET’s official core coins: NXT, BTCD and BBR. Any addition of new core coins will be announced in this newsletter and on SuperNET forum. Coin representatives can send applications to join SuperNET CORE to coins@thesupernet.org. NXT is the ‘2.0’ cryptocurrency that powers much of SuperNET’s backend crypto functionality. The asset exchange, Multigateway (for distributed crypto trading), alias system, even the GUI behind the new wallet – all of these are built on the ‘NXT Inside’ approach. As the leader in these 2.0 features and services, NXT is the natural choice for SuperNET. It makes perfect sense to leverage this functionality whilst rewarding the NXT community for their continued support and further development of the key tech. BitcoinDark (BTCD) brings Teleport to the SuperNET table. At its very simplest, Teleport is the anonymity protocol that underpins BTCD. However, it offers far more than privacy. Teleport is a complete ecosystem for making anonymous cryptocurrency transactions, right down to the level of hiding users’ IP addresses from attackers. Teleport uses one-time addresses called telepods to transfer standard denominations of funds (100, 50, 10, 5, 1 etc) to a new recipient. The use of fixed amounts avoids correlating sender and recipient if the quantity is distinctive (a transfer of $500 would currently be 129.19896640 BTCD, which would be instantly recognisable). Several other tricks such as random delays will make it almost impossible to correlate transactions on the blockchain. The network of privacyServers will not only shield users from prying eyes, but will form the communication infrastructure for SuperNET – enabling them to exchange information of all kinds securely and anonymously. You can read more about Teleport in this article on NXTER.org. James has announced a 1000 BTCD bounty (https://forum.thesupernet.org/index.php?topic=76.msg337#msg337) to anynone who can attack and deanonymize Teleport. Teleport is currently nearing beta-testing. It will permanently be available for free to BTCD, and will initially be free for other cryptocurrencies. From 2015 it will begin to charge small fees for non-SuperNET coin transactions. Bitcoin alone opens a potential market over a thousand times larger than BTCD’s own current market cap. Boolberry (BBR) offers additional anonymising features to provide an extra layer of privacy. Boolberry is based on CryptoNote, an implementation of ring signatures. Ring signatures provide a good level of privacy but generally do so at the expense of blockchain bloat. This raises questions about the long-term sustainability and user-friendliness of CryptoNote coins. Additionally, there are circumstances under which anonymity may be lost, but Boolberry’s lead dev has come up with an innovative way of avoiding this problem, as well as reducing bloat. You can find out more on the bitcointalk BBR thread. I finished debugging all the DHT calls. Ended up adding data compression to the loop, along with out of band binary data beyond the JSON in the onion packets. Also, a lot more difficult that I thought it would be, but finally got all packets to be the same size, thus removing a leak of info about the type of commands you are sending. I implemented a variant of http://www.cs.rice.edu/Conferences/IPTPS02/109.pdf, using 64bit NXT addresses for the hash, eg. least significant 64bits of sha256. collision resolution is something for a layer above this level to do. I plan to add some simple file API on top of this so we can get a nice decentralized storage along with sending of files. Of course all this is under heavy encryption, but still the IP addresses are not shielded yet. The sendmessage API appears to be working in simple topologies, should work with more layers, but need a larger network to test this. Using the sendmessage api, it should be pretty easy to make an encrypted chat application. I have a dozen other API calls already done and they worked in loopback mode, so I hope before long we can get a nice set of API functions released and tested. Once such an entry is in the .conf file the SuperNET code can access a coin and do whatever logic the application layer (like Teleport) will use. More a matter of testing than developing. For non-bitcoin compatible coins, some glue code will need to be created to implement the functions that the SuperNET applications will require. Still compared to the total work, it is a small fraction, so basically any coin can be supported with some interface work. There comes a time when a project needs to stand on its own two feet and not rely on its founder anymore. For MGW, that time is now. it will work much better when all of MGW is NOT centralized through me. I am running all three MGW servers, which is not its design. It also means three times the work to keep them up to date, synchronized, etc. There have been production servers “almost ready” for over two months now and I have to hand off the MGW. PrivateBet will allow individuals to make escrowed bets directly between each other. It will be designed to support P2P sports betting and casino games. PrivateBet creator jl777 has recently won an auction for the technology that will enable a new version of the highly popular SatoshiDice game, which lost many users due to switching from unconfirmed to confirmed transactions. The new technology will avoid this problem and hence access a known and active market. Privatebet is what is sounds like, it allows you to make bets directly with someone else. For events with publicly verifiable results, there will be a decentralized mechanism for the payouts. You can create one shot bets based on anything you can think of, but for this you would need to get someone to agree to be your arbiter in case both parties cant agree as to what the result is. Privatebet won an auction from Come-from-Beyond for a way to obtain provably random numbers from the NXT blockchain. The initial vehicle for this tech will be within the neoDICE asset, which is based on the satoshi dice game. This asset will payout 100% of revenues in dividends. The reason this is possible is that the dev who is implementing the neoDICE will have a significant percentage. So, the asset represents a slightly higher return for purchasers than the actual dev who is doing the work and maintaining the servers. After discussions with Come-from-Beyond, I think it is possible to fully decentralize the entire neoDICE, but any such Version 2.0 will be something for next year. I will be encapsulating this provable random distribution of numbers into the SuperNET API and this will solve one of the thorny issues when it comes to making any type of casino game, eg. cards, slots, etc. So, with this API call, if there was a nice GUI and game play for a game, we have a very nice combination. 4b. In the event NXTventure provided capital, enough assets are sold to at least recoup the amount invested and the balance is distributed as dividends to the NXTventure asset holders. At the end of this process, Privatebet has a new casino game asset providing 50% of its revenues. NXTventure asset holders get some nice dividend or the dev is making some initial sales, or a bit of both. The dev will now have a way to get some cash when needed just by selling a bit off via NXT AE. JLH gets its customary 10%. P.S. SuperNET will of course consider partnering with companies on these type of terms. PM me if you are decision maker for such a company. All the standard and non-standard games will be considered. Also any unique game of chance is of course always welcomed. NXTprivacy owns 50% of Privatebet and the dividends from Privatebet will flow through to NXTprivacy asset holders, so this puts a 2:1 ratio between Privatebet and NXTprivacy. [UPDATE]: Privatebet now owns 40% of NeoDICE (asset ID 18184274154437352348). Privatebet will allow people to make bets directly with each other in a decentralized way. It will let people create their own personal bet with a designated arbiter in addition to automatically supporting a range of standard events with betting interest, like sports betting. Privatebet will only accept crypto and no personal information will be required from its customers. It will have a fee of 1% to begin with, subject to change to adapt to market forces. The goal is to automate as much of Privatebet as possible and it is expected to be able to payout about 80% of the fees it collects as dividends. Please follow the NXTforum for more detals and up to date information.